The relationship between the human body and a bicycle is complex and influenced by many things. Your riding position can directly impact power, performance and efficiency. A poor position can also cause you to have pain. If you love your cycling and want to get more out of it, consider getting one of our physiotherapists to assess you closely on your bike. 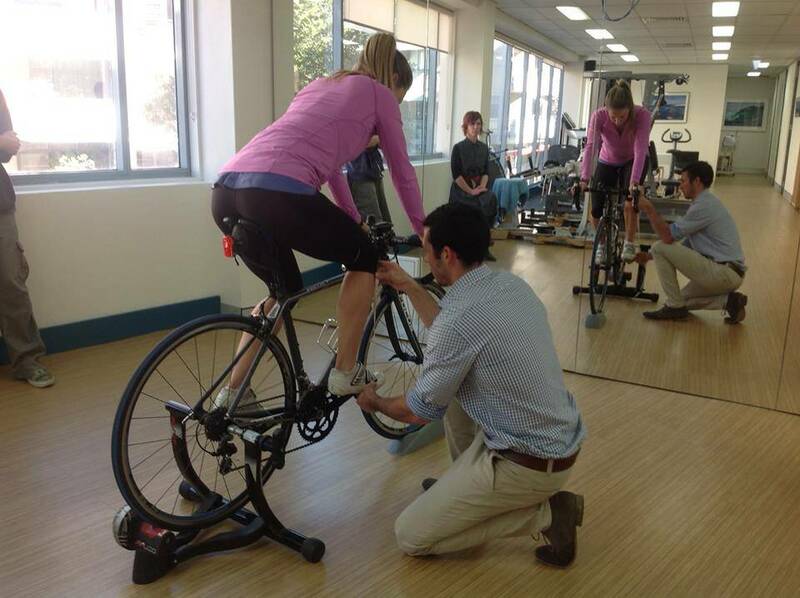 Professional bike fitting takes an hour and our senior physiotherapist, Martyn, performs them here at Active Physiotherapy Newtown. Just let our friendly receptionist know you would like bike fit when you book in so we can set up our equipment.